ATLANTA (Oct. 16, 2017) – In response to customers’ requests for more bold, spicy flavors, Chick-fil-A™ is testing two new spicy entrees – Spicy Chick-n-Strips and a Grilled Spicy Chicken Deluxe Sandwich – in select markets for a limited time. 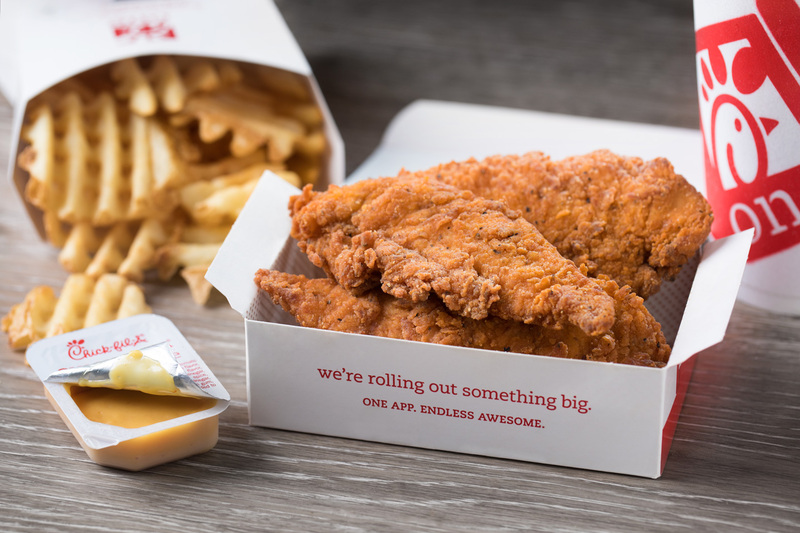 Starting today, customers can visit participating restaurants in Philadelphia, Central Texas and South Texas to try the new Spicy Chick-n-Strips. Customers in Orlando, Fla., St. Louis, and Knoxville, Tenn. will be among the first to taste the new Grilled Spicy Deluxe Chicken Sandwich. The new Spicy Chick-n-Strips combine two customer favorites – the Spicy Chick-fil-A Chicken Sandwich and the original Chick-n-Strips – with a bold new entrée that’s packed with flavor. The strips are seasoned with a spicy blend of peppers, hand-breaded and cooked in 100 percent refined peanut oil. The new Grilled Spicy Chicken Deluxe Sandwich is perfect for guests who are looking for a lighter but spicy option. It features grilled chicken marinated in a spicy seasoning, and is served on a new, toasted multigrain brioche bun with Colby-Jack cheese, lettuce and tomato. It comes paired with a new Cilantro Lime Sauce. The Spicy Chick-n-Strips are available in 3-count or 4-count entrees, and can also be ordered in catering trays. A 3-count order has 340 calories and 26 grams of protein, and starts at $3.85. 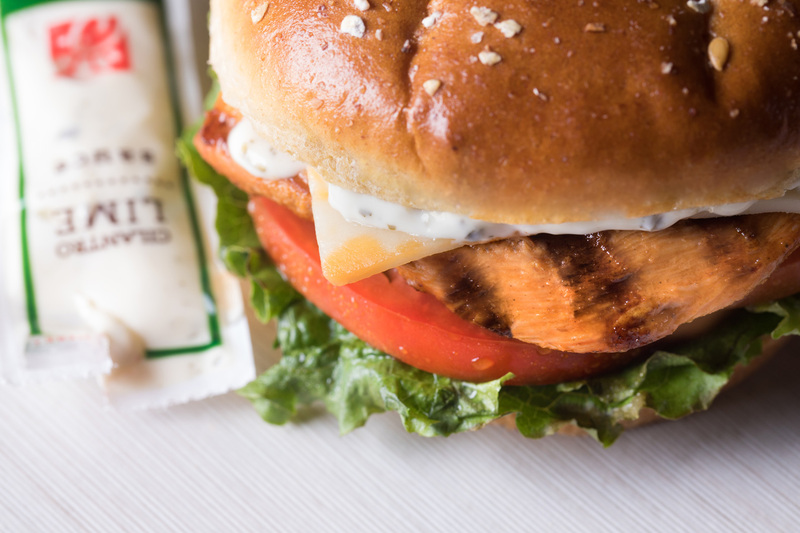 The Grilled Spicy Chicken Deluxe Sandwich has 390 calories and 33 grams of protein and starts at $4.75. The Grilled Spicy Deluxe Chicken Sandwich and Spicy Chick-n-Strips will be offered October 16 to January 6. 1According to data from the 2017 Techonomic Center of the Plate Poultry report.